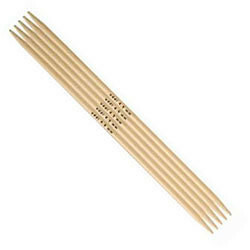 These 15 cm bambu double pointed needles have converted people who have hated knitting socks to loving it. Compered to longer needles these are easy and pleasant to use and you don't have a problem with the needles to stick in you sleeves. The feel of the light bambu while knitting natural fiber yarns is wonderful!